A post mortem of Yelp’s successful migration to Elasticsearch from a custom system built on top of Lucene. Mozilla’s head of website security reviews top site data, finding that technologies such as HTTPS, HSTS, CSP, and SRI are being adopted at an “impressive rate”. LogDNA offers increased visibility, history and alerts. 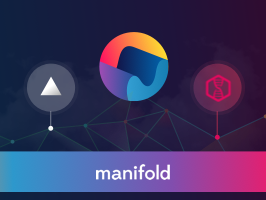 Find out how to add LogDNA to Zeit's realtime global deployments using Now and Manifold. How Postlight reduced the hosting costs for one of its APIs by two orders of magnitude by going serverless. A detailed look at the popular tools and processes, including but not limited to Jenkins, that are holding us back from “software nirvana”. Comparing the cold start times of AWS Lambda using different languages, memory allocation, and sizes of deployment package. How Uber Engineering designed m.uber, a lightweight web app that delivers a native app experience for riders on mobile browsers. Want to Build The Future? Get Hired Today. A guide to web performance quick wins in a DevOps environment. In a 4 minute video, a developer shares his experiences. How Kubernetes got funded inside Google, its infrastructure, and how they’ve been able to succeed by focusing on the community. Always know whats broken & why. Rollbar detects and alerts you when code breaks. Catch errors before users do! It’s just your app and its direct dependencies.